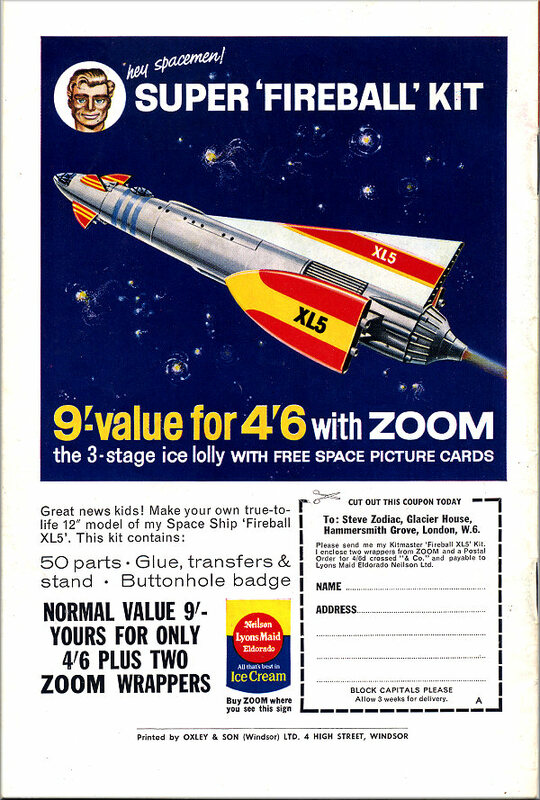 The ZOOM ice lollies promotion advert invited one to send off two ZOOM wrappers and a Postal Order for 4/6d (22.5p) to obtain the XL5 Kit, value 9/-. 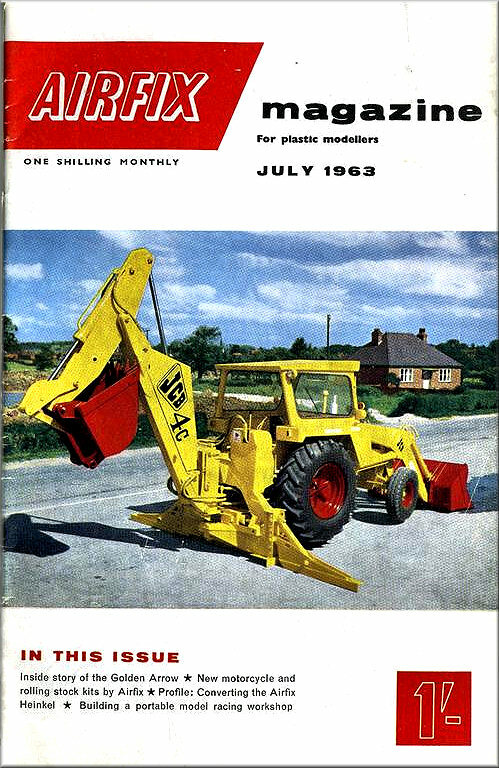 The only mention of Kitmaster was on the Coupon to be sent off for the Kit, in reality it was an Airfix issue. 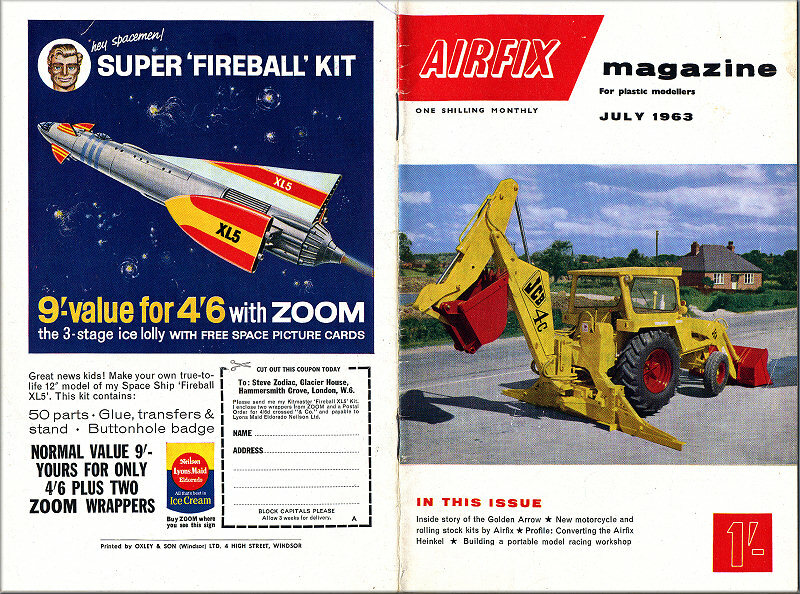 The Airfix magazine of July 1963 carried the advert as a colour, full size, back page. 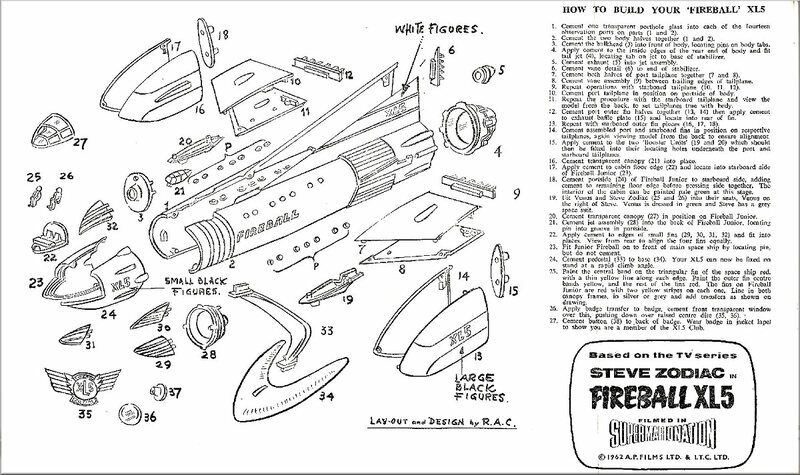 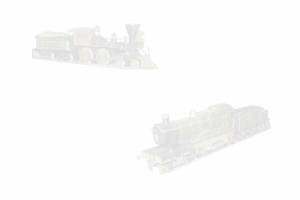 An example of what the box might have looked like if it had been a full Kitmaster production.